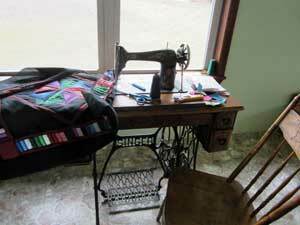 Spending a day with the Amish would entail you to be a part of their lifestyle for a short time, who knows maybe you could join a custom quilting bee while there. What might surprise many is that the Amish community is always willing to accept outsiders who wish to join their ranks. The only stipulation is to follow their beliefs. Most Amish families live in a rural setting on farms. For this reason a majority rise early, before sunrise, and do the necessary chores around the farm yard that are necessary. This will include feeding the chickens, horses and other livestock. It would also include milking the cows so there could be fresh milk for breakfast. This is what most of the males do. The females might help out somewhat on the chores, but they mainly focus on preparing the first meal of the day for the family. After the morning meal, it is time for more chores for those that stay all day on the farm. For those in the Amish community that hold jobs away from the farm, they are off to work. For the rest, it is time to begin the day. For many of the boys this will include the grooming of the horses. The horse is the essential work animal for the Amish. They know how precious this animal is and how much they rely on it. For this reason they take exceptional care of their horses. Each day before the horses are saddled and hitched up, they get a full grooming. This helps the animals feel and look better. It is also the best way for the animal to be fully inspected each day. The health of these animals is important so small scraps and cuts are noticed and treated to help prevent infections. When school age children are in the home, they are off to school early. As of the rest of the family, they begin their day of work. With the horses hitched up to the buggy, the women can take their ride to the Amish shop. This can be for supplies or if they own the shop, to run it for the day. During the planting and harvest seasons, the horses are hitched up to the plows or wagons for their trip to the fields. For the men that do the plowing, it is a peaceful time. The view they will see all day will be the back side of the horses. With only the wind blowing and birds singing for beautiful music, that is why many fall asleep at the reigns. 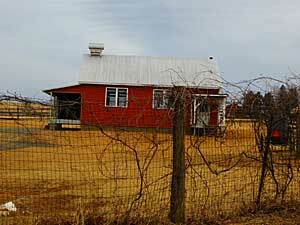 At noon, everyone on the farm then gathers at the house for the mid day meal sometimes called dinner or supper. They all clean up first before they sit down before a bountiful feast. Once the meal is done, it is back to work in the field for the men. The women clean up after the meal and begin to prepare the evening meal. The women will also the household cleaning and wash, as it is needed. Then if they have time they will work on their custom Amish quilt, it seems they always have a custom quilt in their quilting frame. After the evening meal, many Amish families read from the bible and talk to each other about their day. Remember there is no television or computers to play on. For this reason they actually converse with one another or play board games. Then it is off to bed so a new day can begin again the following day.